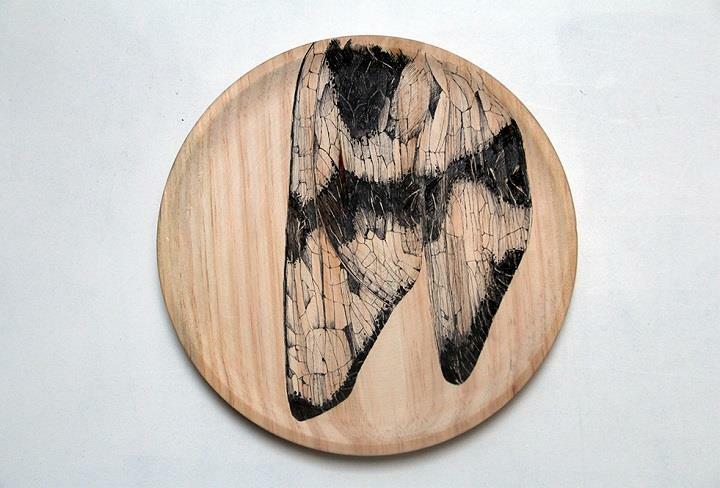 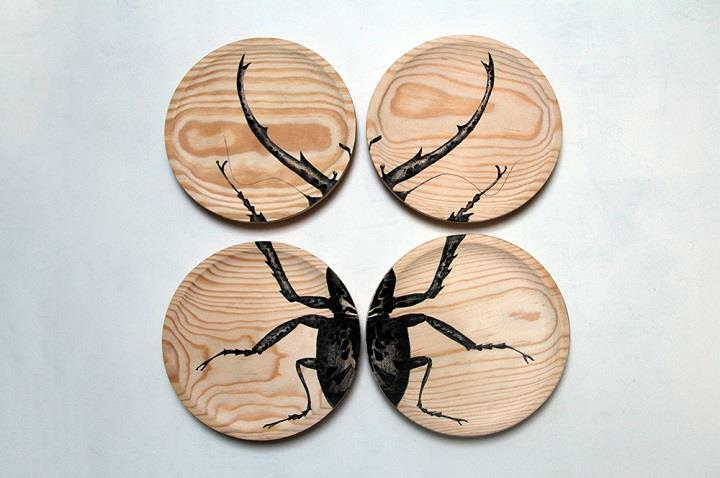 Raul del Sol is a Spanish artist and illustrator creating these stunning ink and wood illustrations of insects. 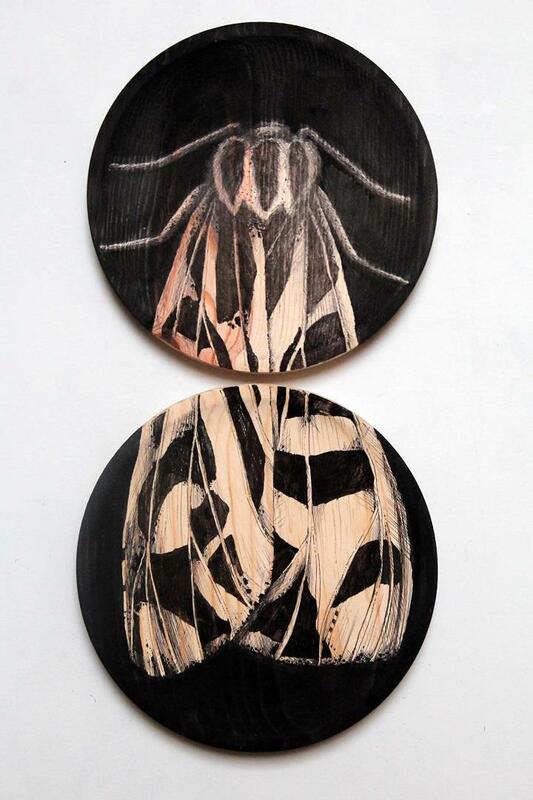 Although he is not an entomologist by profession, he meticulously studies anatomy and the stages of metamorphosis of various insects to create works of art. 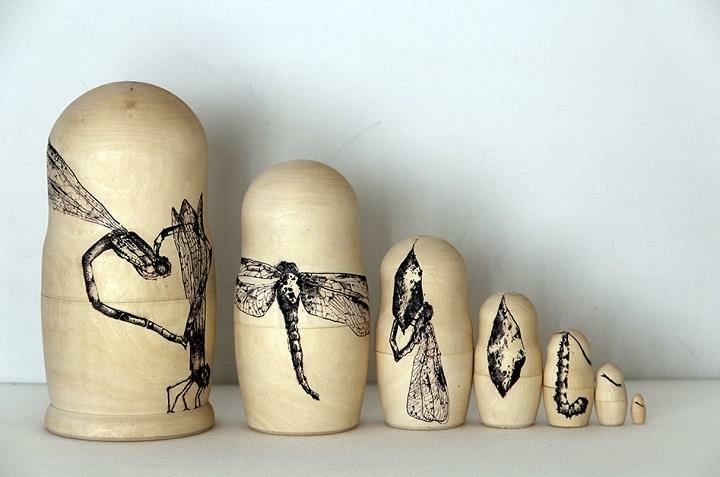 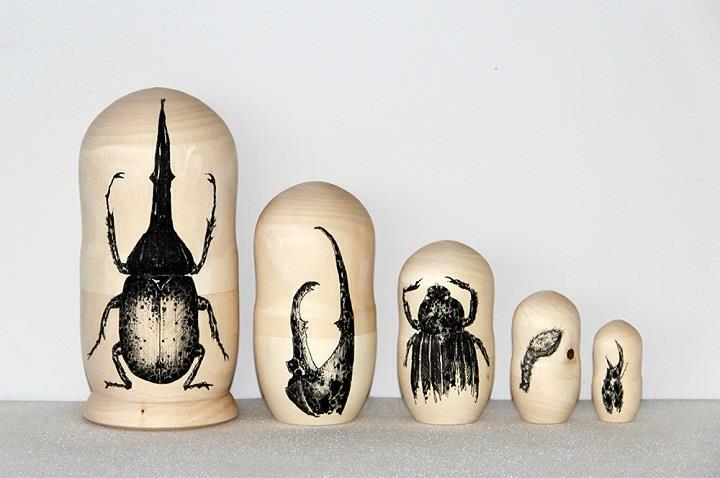 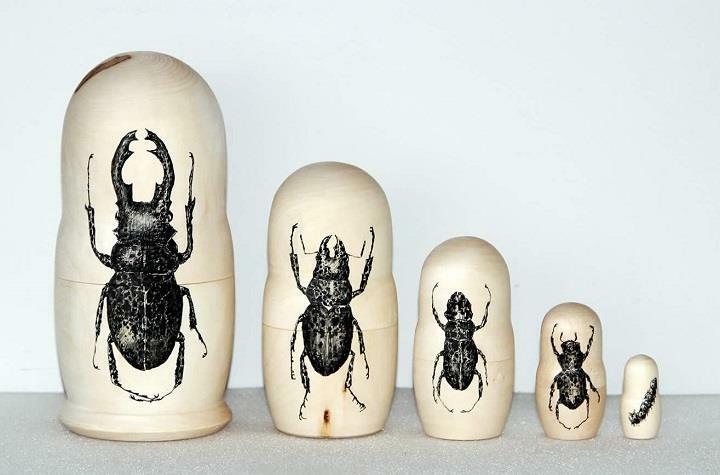 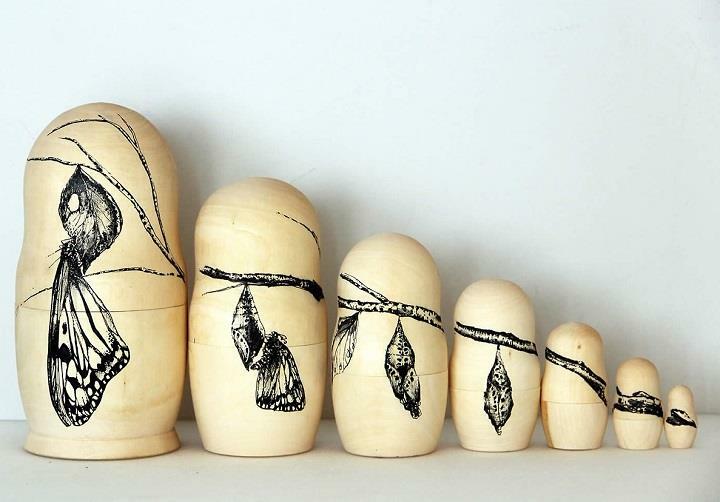 Metamorphosis is his ongoing series in which he cleverly illustrates the life cycle on Matryoshka dolls – from the egg and larva to the full grown butterfly. 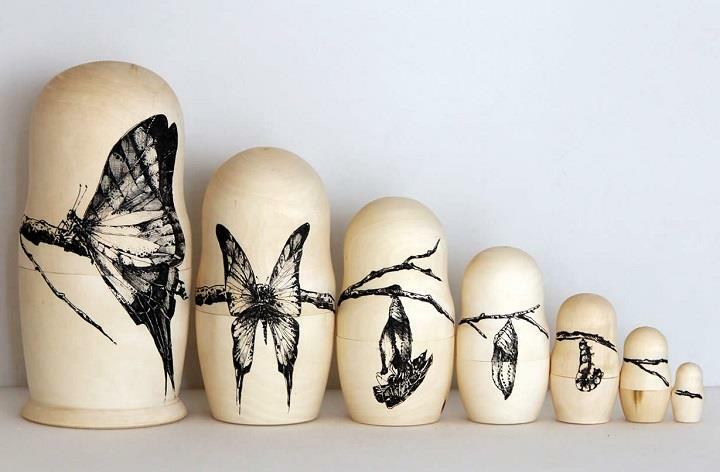 With great precision and delicacy Raul uses accurate lines and details that we appreciate in each work.